The 2016 Billboard Music Awards is coming to the number 1 music channel in the Philippines! The highly-anticipated show will be broadcast live from Las Vegas on MYX this May 23 at 8AM. Hosted by Ludacris & Ciara, #BBMAsOnMYX will feature performances from Justin Bieber, Demi Lovato, Nick Jonas, Madonna, Rihanna, Ariana Grande, Fifth Harmony, and many more! The BBMAs will also showcase big performances, unexpected collaborations, and much-discussed pop culture moments. Chart-topping living legend Britney Spears is also set to receive the Millennium Award for her outstanding career achievements and influence in the music industry. She will also perform a medley of her greatest hits. 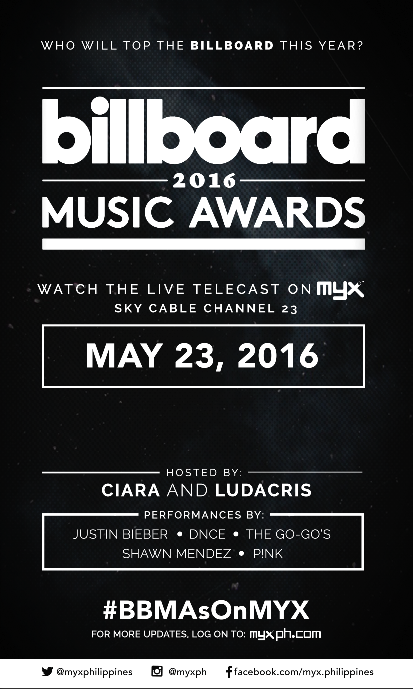 Catch the 2016 Billboard Music Awards live on MYX this May 23 at 8AM with replays on the same day at 1PM and 9PM, May 24 at 5PM, May 27 at 9PM, May 28 at 11AM, and May 29 at 12AM. Myx is a Filipino cable television network owned and operated by ABS-CBN Creative Programs, Inc. (CPI), a subsidiary of the media and entertainment company ABS-CBN Corporation. It is targeted to youth audiences with music videos as its primary content. The MYX megabrand has become the ultimate youth brand on TV, online via MYXph.com, and social media. It remains as one of the most followed local media outfits on Twitter and Facebook. 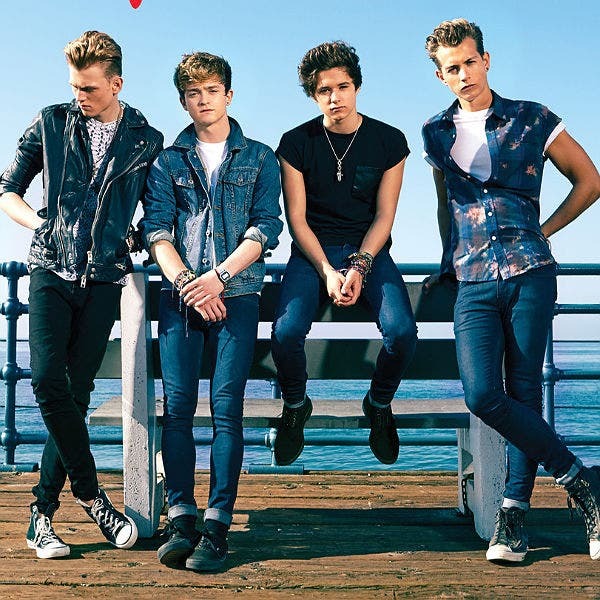 MYX, the number one music channel in the country is on Skycable channel 23. For more information on the channel, log on to www.myxph.com, follow Myx on Instagram (@myxph) and Twitter (@MYXPhilippines).